Scan your android device and unlock hidden features, info, codes and hacks, you didn’t know before. Now it’s not necessary to remember all those codes. With Mobile Secret Codes you can execute them directly with one finger tap! The simplest is to directly enter them in the dialer app. Access all mobile secret menu, hidden codes or menu easily, just tap! Discover hidden functionalities and enjoy! And have fun! This App will help to find out the USSD Codes for All Mobile operators in all country. Vibration, Flashlight, Sensor, Battery, Bluetooth, Wifi, Brightness. 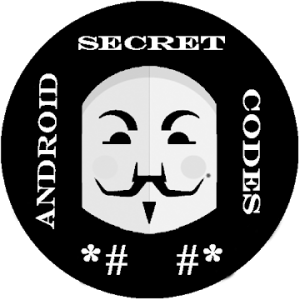 Mobile Secret Codes: List all secret codes (Hidden Menu) on your device. Firmware: Browse for the stock firmware’s available online, for your phone and for any other mobile model. Main Features: Displays the following information about your phone. One of the most common practices amongst today’s software developers is to leave certain kind of “backdoors” within operating systems. These “backdoors” essentially allow any users with sufficient knowledge to get into the system at a much deeper level than you’d expect from normal users. These backdoors aren’t always meant to be used for malicious intent, as they allow programmers to get into the system for troubleshooting when other usual access modes have been blocked. And to developers, they can be quite friendly and helpful if you know what you’re doing. In smartphones these backdoor are called “secret codes”. IMPORTANT! Some manufacturers do not allow the use of these codes and they may not work on your device. By using secret codes you can modify certain parameters of your device. Use at your own risk! Tags: Mobile USSD Codes, Mobile Secret Codes, Mobile Hidden Codes and Tricks, Network Secret Code, hidden menus, secret menus.